Millions of people every day are looking for ways to increase productivity and at the same time cutting sugar amount from their diet. Beverage products have a significant impact on all of those matters. 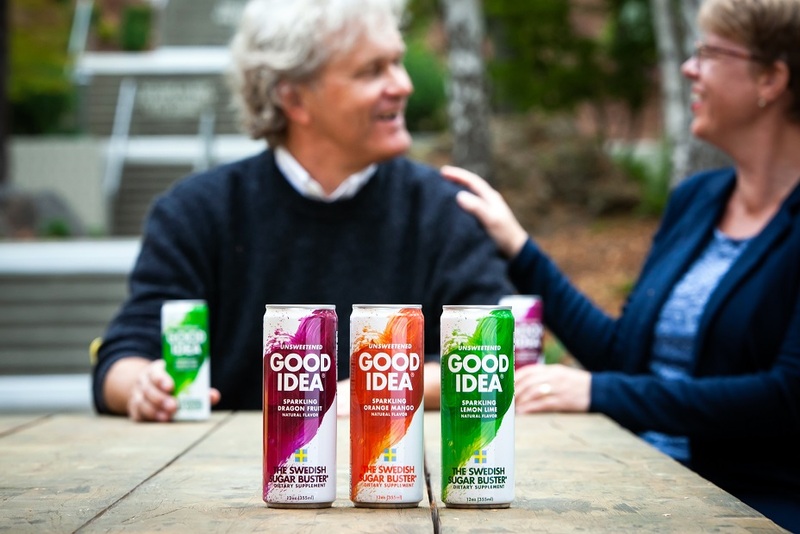 Good Idea is a beverage brand that reduces the blood sugar spike after a meal. Today, I am delighted to have a chance of talking with Dr. Elin Östman who is Chief Scientist at Good Idea Inc. and a co-inventor of the product. Each brand has a fascinating story to tell. What’s the story behind Good Idea? Well, our story goes back to around 2005, when I was doing research at the Food for Health Science Center at Lund University in southern Sweden. My research group found that a combination of five specific amino acids could reduce the blood sugar rise following a meal to more healthy levels. When a small proportion of chromium, well known for its role in blood sugar regulation, was added to the blend, the effect was even more significant. Repeated clinical studies showed a reduction of 20-30% in blood sugar rise after a meal. We understood that we were on to something exciting, and started working on an attractive mealtime beverage that could help the body handle the sugar spikes more efficiently. And after several years of product development and testing, Good Idea was launched to the US market in 2017. An interesting detail is that one of the co-inventors, and a co-founder of our company is professor Rickard Öste, who is also the inventor of Oatly – the original oat drink. 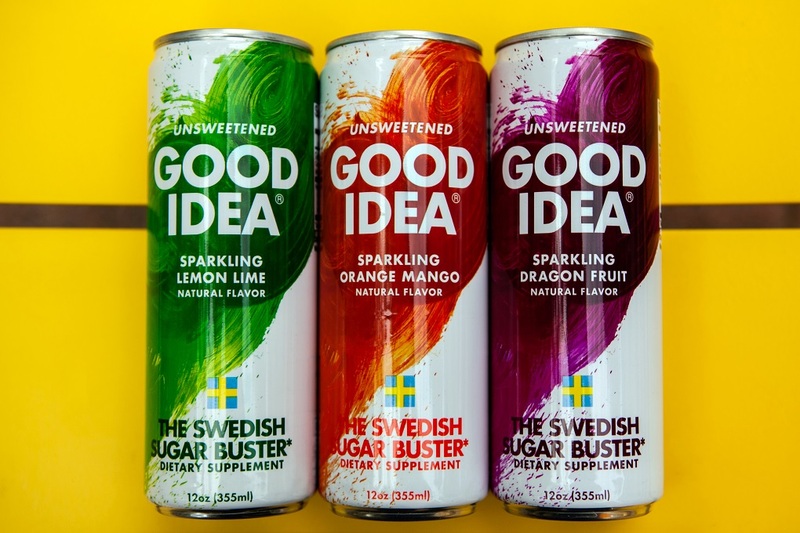 Good Idea has 3 different flavors. Did you have any difficulties finding perfect ingredient matches? Which one is your favorite? Since Good Idea has its best effect when consumed with a meal, it´s crucial that the flavors harmonize with many different kinds of food. We only use natural ingredients, and we have tried and tasted hundreds of different flavors and combinations of flavors to pick the best ones. I love all three flavors, but if I were forced to choose a number one, it would probably be the latest addition – the Dragon Fruit. It´s fresh and exotic and a perfect complement to the lemon-lime, and orange-mango flavors. What is the most critical ingredient in your products? The active ingredient is the blend of five amino acids and chromium. While the amino acids seem to prime the body to handle the carbs from food in a more efficient way, the chromium increases insulin sensitivity, so less insulin is needed to push the energy into the cells. Chromium also has another interesting function for those who want to lose weight sustainably, since it increases the proportion of lost fat, in relation to muscle. Who can drink your products? Is it suitable for everyone? The simple question to that is yes. The blood sugar regulation effect comes when you consume it just before, and with a meal. If you drink it by itself, it will only quench your thirst, with no impact on the blood sugar. Since it contains no calories or sweeteners, it is also suitable to support any diet for weight loss and weight management. We do get positive feedback from people with diabetes (1, and 2), but all our clinical studies have been done with non-diabetic subjects, and diabetic persons should always consult with their physician or diabetes nurse before making changes in their diets. Good Idea Inc. is based in the United States. Where can consumers find your beverage line? Are you planning to expand to other countries? We are currently selling on Amazon, in our web-shop at Good Idea Drinks, and at a growing number of retailers across the country. We have a plan for expansion to Europe, but for 2019 the main focus is the US market. Being a food scientist, I prefer to leave the business advice to others. At Good Idea we have a great team combining all the expertise needed for a new brand. My advice is more of a wish, that there will be more truly health concepts on the market, and that they would all be proven with independent clinical studies. There is a real need for foods and beverages with preventive properties, but at the same time so many producers out there making unsubstantiated health claims for their products. This is confusing to the consumer and gives us a hard time cutting through the noise. 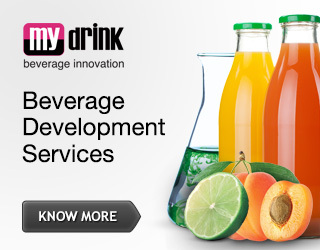 For more information visit Good Idea Drinks website.